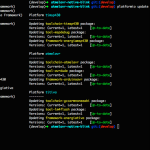 Eclipse Helios is a next regular update to all known and loved IDE for us, which contains a huge number of innovations and improvements. 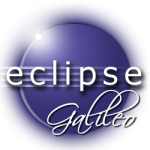 Earlier I have already written about how to integrate previous version of Eclipse Galileo with PDT + Smarty. I’m pleased that the materials of the publication were useful for lots of people because I received numerous “Thanks” in anonymous form. In fact, there is no problem with integration in new Eclipse Helios because it contains the new PDT 2.2.x and the DLTK 2.x plug-ins that are necessary for the functioning SmartyPDT. This entry was posted in Programming and tagged Eclipse, IDE, PDT, PHP, Python, Smarty on September 27, 2010 by Ivan Kravets. This entry was posted in Programming and tagged Eclipse, IDE, PDT, PHP, Python, Smarty on December 25, 2009 by Ivan Kravets.